A growing family? A house severely hit by a hurricane? A simple change in preference? These are few of the reasons why people want to do home remodeling. While others go for total home renovation, some only want to revamp one portion of their residential space. Are you doing a full-scale kitchen revamp, or just a modest renovation? Decide on the reason why you want to renovate your kitchen. This place is considered as the heart of the home -- many everyday activities happen in this area. If you’ll undergo a kitchen remodeling, you need to adjust accordingly or even temporary take refuge to another home while the remodeling is done. Like what we’ve mentioned, it takes time to remodel your kitchen -- approximately six to 12 weeks, in particular. You have to guarantee that this home improvement is done during a convenient period or time in your life. Keep in mind that this endeavor entails utmost commitment from your end. Budget is always a top priority in any home remodeling effort. Identify things that will use up your financial resources and allocate your funds wisely -- spend only on things you will really make use of for a long period of time. Which kitchen style do you prefer? Do you want a classic, elegant-looking kitchen? Or would you go for modern but sleek design? Are you more of a laidback type of homeowner, or do you prefer to go trendy and eccentric? Settle down with a specific style and ensure it is coherent with your personality and the overall look of your abode. How many people use your kitchen and how often? Are you remodeling your kitchen to cater to your growing family (and subsequently, culinary needs)? Or because you intend to host regular dinner or party with your friends and colleagues? Know how many persons will go back and forth your kitchen and how frequent to create a layout that’s functional and efficient. The kitchen also works as a storage space. From condiments to utensils to your treasured baking equipment, this place houses a lot of things. List down all your kitchen stuff and guarantee that your remodeled cooking-and-dining area will have enough space to store them securely. What are your appliance must-haves? Based on your budget allocation, list down the kitchen appliances you want to retain or be added. When buying a new appliance, bear in mind that it is indeed a must-have and not just something that’s compulsively bought. Do you intend to keep your kitchen’s architectural integrity? 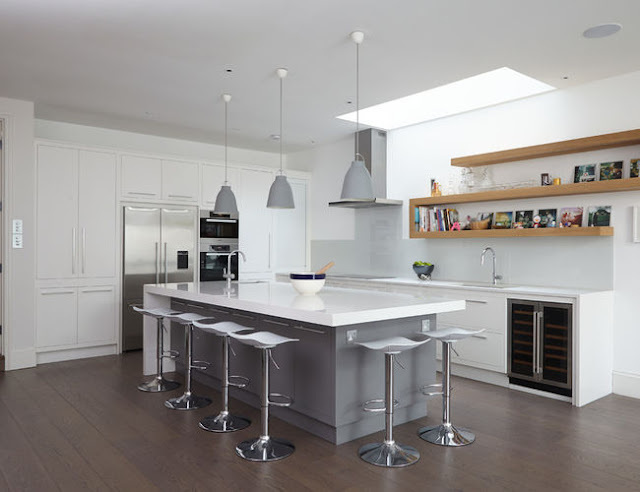 If you’re retaining your kitchen’s architectural design, it won’t be a problem. If you’re altering it -- ensure that you have the right person to do the job and incorporate the necessary adjustments (e.g. Plumbing, lighting). Kitchen renovation -- like any other home remodeling project -- is quite an investment. If you want it to be done right and professionally, don’t think twice to enlist a contractor to helm your undertaking. Check the firm’s experience and make sure you communicate with each other well. Got tons of ideas for your home remodeling project? Let our team at Rendon Remodeling & Design help turn your vision to reality. Contact us today!